Welcome to ReliaStream. We thank you for taking the time to visit our web site. We have been around since 2008 and from day one we quickly became one of the leaders in low cost reliable streaming. In 2008 ReliaStream shocked the industry with it's $1 USD a month radio plan. We felt it was an excellent way for new broadcasters as well as broadcasters with little money to step into the wonderful world of internet radio. We still offer that plan to this day! ReliaStream only uses powerful multi core Xeon dedicated 1000 mbps (1 gbps each) servers in Dallas Texas, Seattle Washington, Washington DC, Salt Lake City Utah, London, Amsterdam, and Canada for maximum coverage. We also offer some of the most reliable servers on the web. Our radio plans have saved some of our clients thousands of dollars every year without any loss of quality. In many cases our broadcasters have reported much better results when they switched to ReliaStream. Data Center Description: Tier 3 data centers are SAS70 Type II and SSAE16 certified and deliver the latest in cutting-edge technology and high tech specifications that provide advanced security coupled with maximum uptime and redundancy. These advanced data centers include N+1 generators each with multi-day fuel reserves. Each facility has advanced cooling features to provide an optimal ambient environment, and also include pre-action fire suppression with VESDA both above and under floor sensing. All locations are physically secured with two-factor authentication including a mix of full proximity security and biometric access and offer 24x7x365 NOC support. Data Center Description: Tier 2 data center in London has N+1 generators with multi-day fuel reserves. It is equipped with 14 105 kW DX CRAC units with outdoor condensers in an N+1 configuration. Our security includes full perimeter CCTV with PIR motion detection and a secure door entry system with event logging. This data center carries optical, ionization, heat detection sensors, to compliment the overhead and underfloor VESDA that comprise the fire protection system. Data Center Description: The Amsterdam Data Center is the ultimate in hosting prowess. With a direct connection to AMS-IX and multiple tier 1 transit providers, this facility is designed to take the strain of any requirement. As is standard in all of our data centers, all equipment is built using industry-leading hardware which is engineered to ensure the utmost in performance and reliability. Complete with fully redundant power systems, a fully automated environmental cooling system and a robust physical security layer, you can put your trust in us to keep your operations up and running. Certifications include ISO 27001, ISO 9001, AMSIX Certified, ISAE 3402, and PCI compliant. We are mindful of the environmental impact of all our operations, and as such we power our Amsterdam data center with 100% green energy. This facility has a best-in-class UPS and a 99% uptime rate in 2N, all while retaining environmental efficiency. The site also benefits from myriad backup power resources: Fully redundant power grids, Multiple generators in 2N redundant configuration, Multi-day fuel reserves, and UPS battery backups in 2N redundant configuration. Data Center Description: This data center (code named DLLSTX2) is located in the heart of downtown Dallas, TX. It is in a Tier 3+ facility on the same protected power grid as Dallas 911 and the local hospitals. This means we are exempt from rolling blackouts that historically have been an occurrence due to the Texas summer heat. Power is sent to the data center from four different substations, requiring all four substations to go offline before power to the building is interrupted. Additionally, the data center is serviced by water feeds from the north and south of the building. Protected Power Grid, 80,000-gallon Water Reserve, SAS-70 Type II Certified, SSAE-16 Certified. Data Center Description: SoftLayer Facility, Geographically diverse PoP's provide seamless, direct, private, and high speed access to our backbone network, bringing connectivity closer to the end user. You may choose the SoftLayer POP location closest to your office or end users. High-speed metro-WAN services and cross connects from providers including Equinix and Telx are also available. Our network is built from best-in-class networking infrastructure, hardware, and software with exceptional bandwidth and connectivity for the highest speed and reliability. SoftLayer's network seamlessly integrates three distinct and redundant gigabit network architectures-public, private, and data center-to-data center-into the industry's first network-within-a-network topology. This design provides you maximum accessibility, security, and control for your IT infrastructure. Network & Facilities include 100% Redundant Cisco Network. Dallas Data Center: Comcast, Equinix (Peering), Global Crossing, Internap, Level 3, NTT America, Savviss. Seattle Data Center: Comcast, Internat, Level 3, NTT America, Qwest. Washington DC Data Center: Comcast, Equinix (Peering), Internap, Level 3, NTT America. Canada data centers are strictly for our own usage - servers can only be physically accessed by authorized employees. Access restricted by security badge control system, video surveillance and security personnel 24/7 on-site. Rooms fitted with smoke detection systems. Technicians on site 24/7. Systematic double power supply 250 kVA per UPS device. Generators with an initial autonomy of 48 hrs. Minimum of 2 network connections to and within the datacenter, 2 network rooms capable of taking over from one another. Advanced network capacities: 10Gb+ and 40Gb+ connectivity on main network. Canada data center is certified ISO 27001:2005 for providing and operating dedicated cloud computing infrastructures. Based on the ISO 27002 and ISO 27005 security management and risk assessment norms and associated processes. Canada data center has obtained SOC 1 and 2 type II certifications for 3 data centres in France and 1 in Canada, proof of how secure its Private Cloud solution is. 98% of hosting rooms are free from air conditioning. The Water cooling enables 70% of heat emitted by the processors to be dispersed. Air-cooling evacuates the remaining 30%. Energy costs halved PUE below 1.2 constantly reducing our data center energy consumption. When ReliaStream says premium bandwidth it's just that.. premium. These are typically companies that provide more reliable connections that don't experience trouble too often versus your cheaper bandwidth which may be a little less in quality. 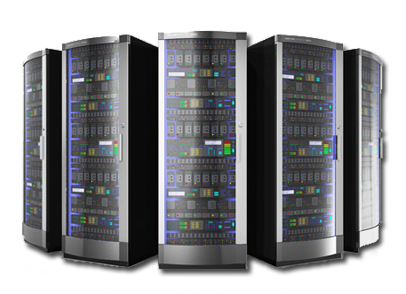 All ReliaStream dedicated servers have premium bandwidth and that is very important when it comes to radio streaming. We often speak with our members and sometimes they tell us why they signed up with ReliaStream. One members said we had an issue with our radio server at some other provider and it took them a week to get back with us. It should never take that long to respond. It should take minutes or one to two hours at most. ReliaStream even has a toll free phone number. Something you do not see often with stream host providers. ReliaStream is all about helping our fellow broadcasters.